Tonight's meditation will be focused on sending strength, peace and positive connections to the Rohingya refugees. This meditation will use a combination of a Pure Grace Heart, chrysocolla, rose quartz and celestite. 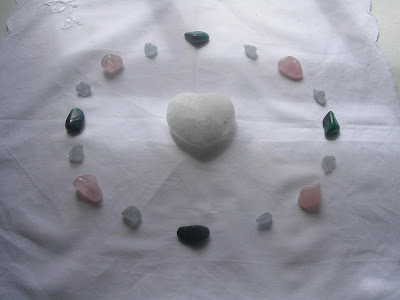 Please use the image of the crystals below in meditation, positive thought or prayer through 8PM GMT. Thank you as always for your connection and helping others in such need.